Knotty doll, 11" tall, trimmed in colorful details and child safe accents; embroidered features and loop for hanging up. 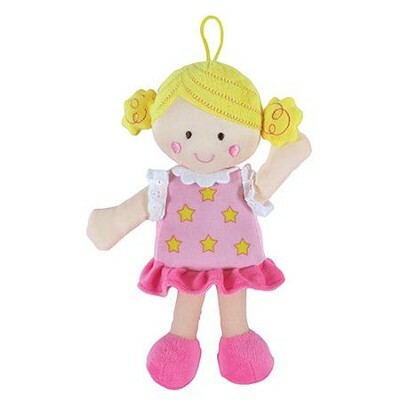 Blonde doll, just right for big sister gift. I'm the author/artist and I want to review Blonde Knotty Doll, Pink.